Hey art aficionados! Our December Arts and Crafts show is up and it looks stunning. This will be great fun for the holiday season and we have some special surprises. 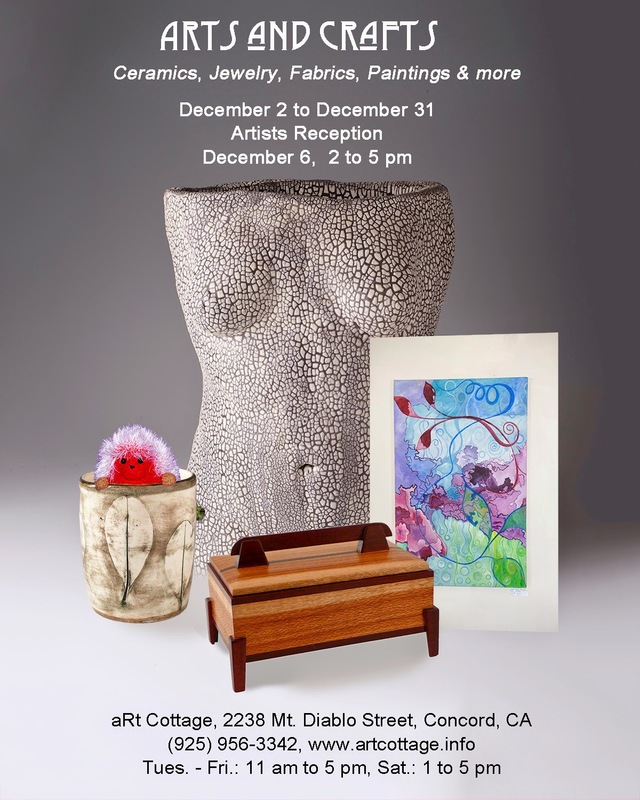 Our opening reception is this Saturday, December 6, from 2 to 5 pm and it is going to be a hum-dinger! First of all we will have music provided by Alice Martinez and her ukulele. Nothing like Christmas music to the ukulele. 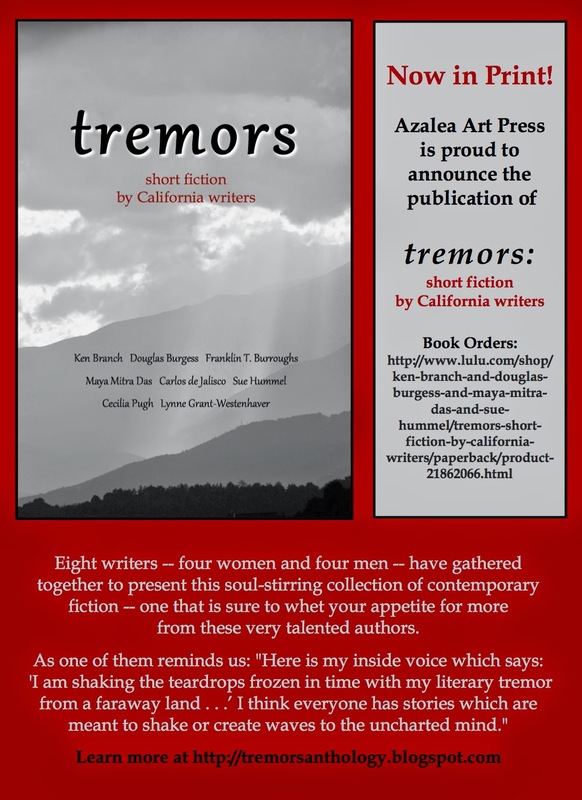 We will also have Franklin T. Burroughs who will be giving a reading of his fiction from the book "tremors", a book of short fiction by California writers. And finally we have Tony Saraceno pouring samples of his Nimium Wines. This will be a great opening reception and a great show. Please come and visit us.